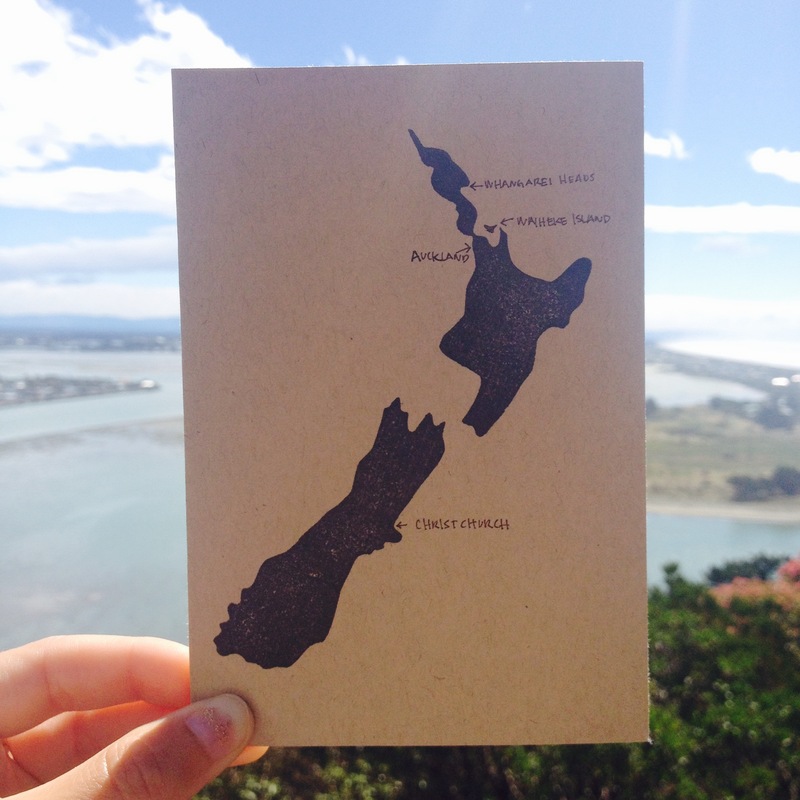 On my third week, I set off on the more unknown part of my voyage, a big loop around New Zealand’s South Island. From here, I’m just planning as I go so it’s been fun to see where the journey takes me. 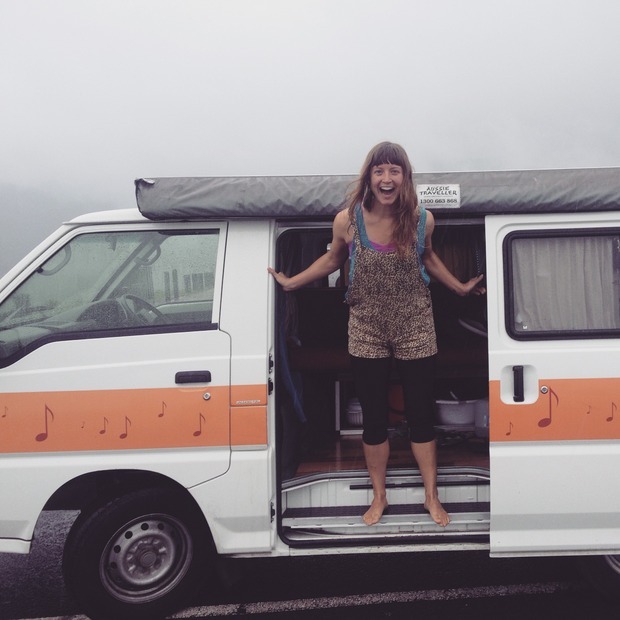 I started off traveling with a new friend from Christchurch up to Nelson, where we stayed in a super nice hostel (Prince Albert) that gave us free bike and disc golf rentals. We rode over to Stoke and its famous McCashins Brewery and played the front nine of their local course. It was so nice to stretch the legs on a bike! 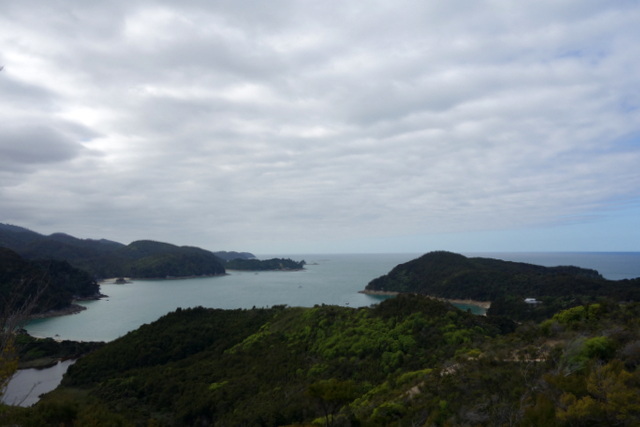 Later that day we stocked up at the store and headed to Marahau, the trailhead town of the Abel Tasman track. I’ve been loving all the roadside produce boxes that people set up at the end of their driveways. We scored on some yummy Nashi pears in Motueka en route. 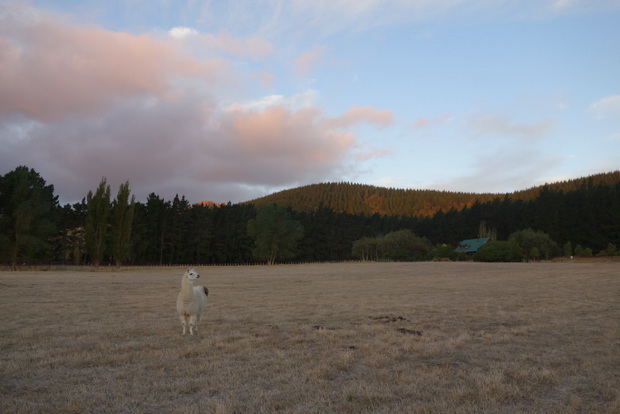 At Marahau, I continued pioneering New Zealand llama tourism by staying at Old McDonald’s Farm, which had a small her of about 10 llamas. The two males kept in a separate pen were not very happy about their quarantine as they could see the girls in the paddock west of them. It was kinda sad, kinda cute to hear their humming as they hugged the fence line just swooning over the girls. The farm also had some of the prettiest-coated cows I’ve ever seen. 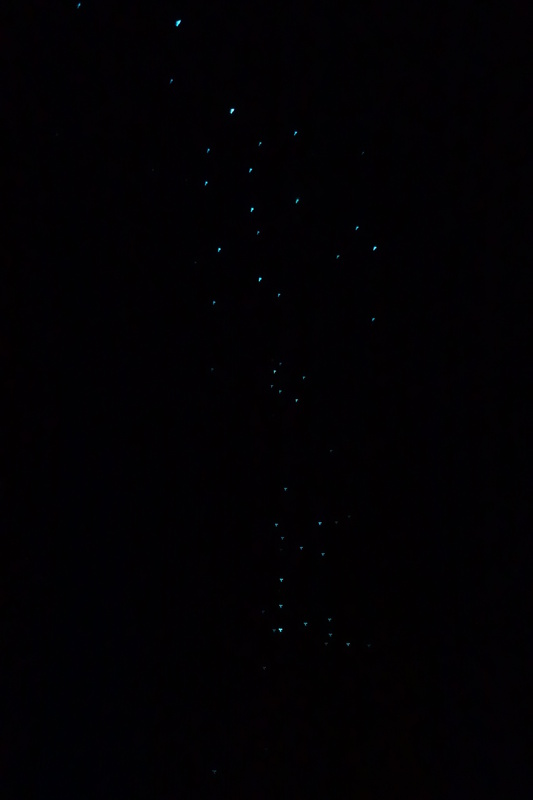 They were practically shining. Backpacker accommodation at Old McDonald’s is really great: small little 3-bed huts and outdoor kitchens scattered throughout different sections of the property. This place has a few years on it, but is super well maintained and tidy. 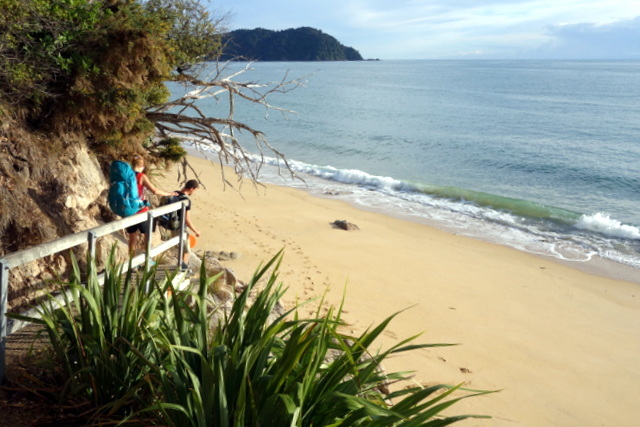 We hiked the Abel Tasman from Marahau to Totaranui over 3 days and 2 nights (staying at Anchorage and Awaroa huts). The huts were extremely nice (sleeping around 32 people in bunks), especially the newer Anchorage Hut, which had great tall bunks and a beautiful kitchen/gathering space with a heated wood stove and motion sensor lighting. 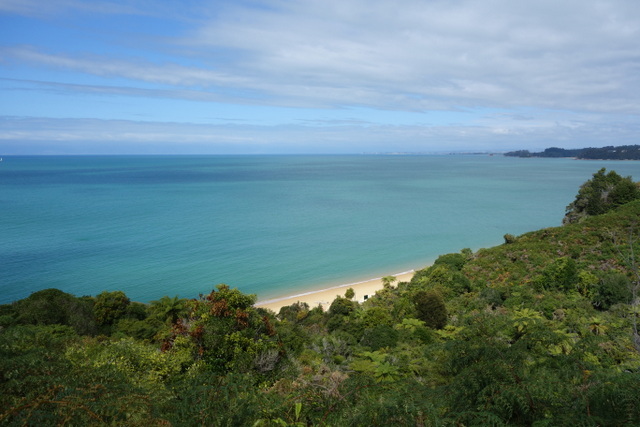 The Abel Tasman trail is very graded and mellow, especially on the first day to Anchorage Hut, though there are definitely some steep sections later on. 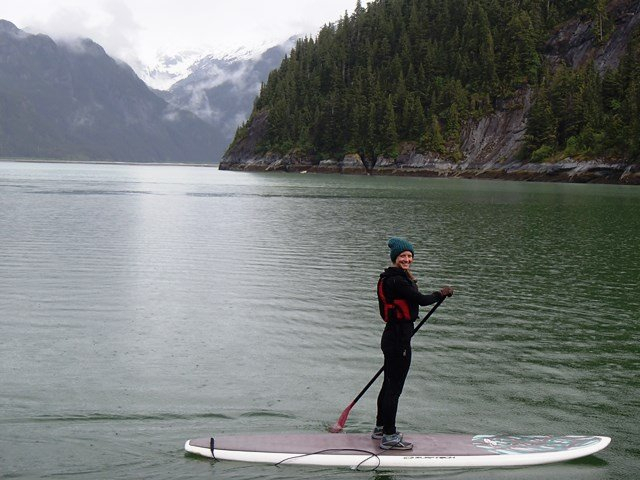 Our first and last days were easy, logging just over 10 km (6+ miles) each day. Our middle day was the big push, at 20km (12.4 miles). We woke up early to take a low-tide shortcut across the sand or else it would have added another couple miles to the day. Just north of Anchorage Hut on the beach, just as the sun was rising, we scoped out a glowworm cave and it was so magical… they lit up the cave walls like little stars in the night sky. 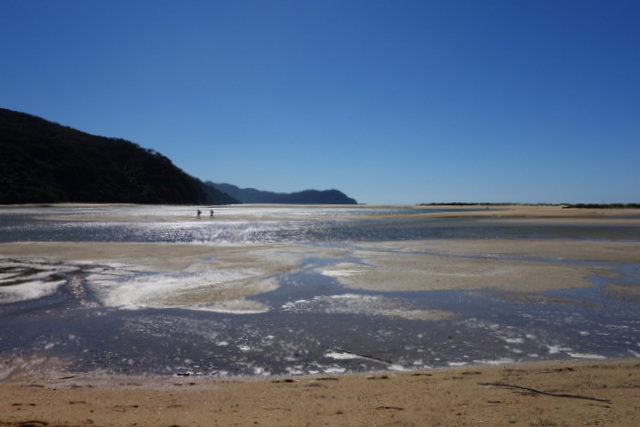 The Abel Tasman is really a cool trail, and it was fun to plot out the journey as there is the tides to deal with and one mandatory low-tide crossing just past Awaroa Hut; miss it and you have to wait half a day. 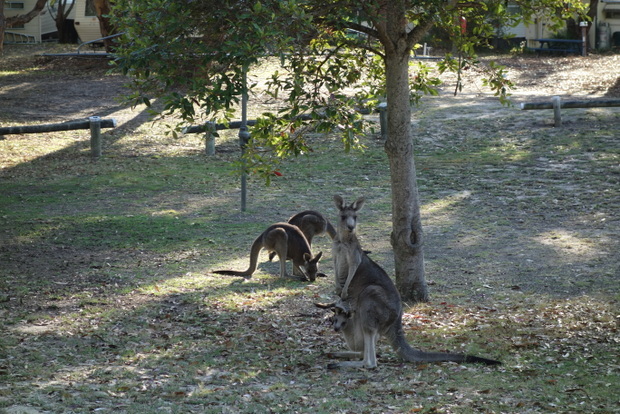 It was also fun to meet other travelers here, many Kiwis and mostly Europeans. We met a great gal, Liz from Paris, at the Anchorage Hut and she continued with us for the rest of our tramp, so you’ll spot her in most my photos along with Philip who I traveled up with from Christchurch. 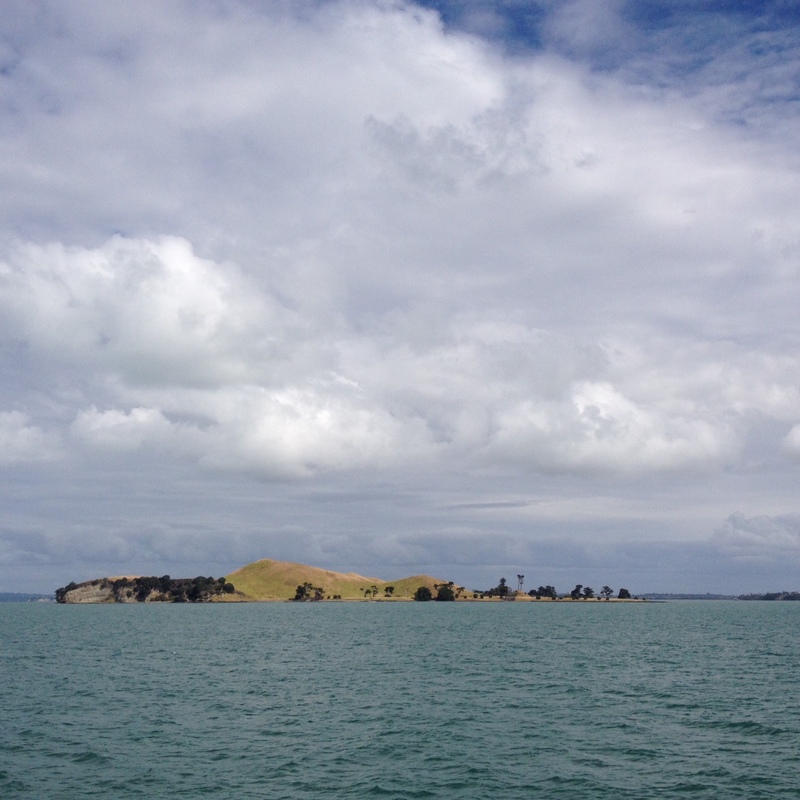 Philip and I left Liz at Totaranui, where she continued north and we took a water taxi back to Marahau. 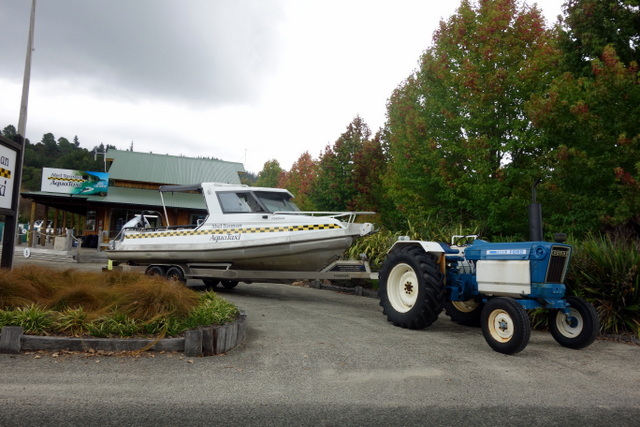 We saw some fur seals at the Tonga Island Marine Reserve, and a funny highlight was how they take the water taxi boats out of the water back at Marahau: they hitch it up to a tractor that then puffs out smoke as it tugs you out of the water and down the road. 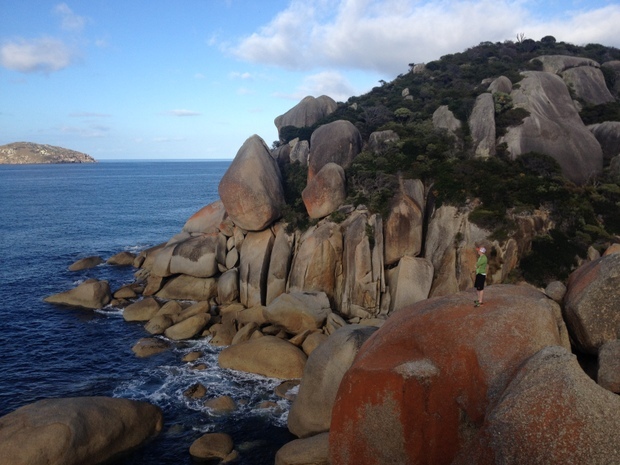 From Marahau, I headed down the West Coast but I’ll save that update for week 4 when I catch up with writing. My second week in New Zealand started off with a visit to friends Hudson and Hannah, the sparks that made this whole trip happen. 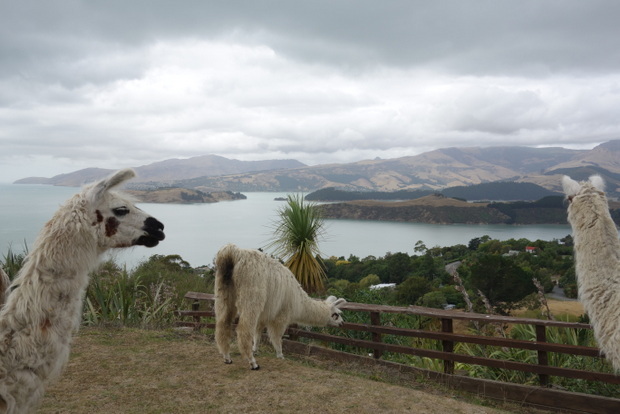 They live in the Christchurch beach neighborhood of Sumner, way up on the hill so the view is incredible. 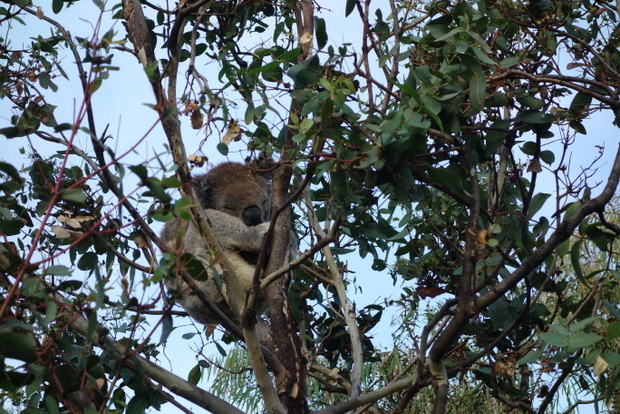 See above photo—this is right outside their guest bedroom window! I spent an amazing few nights there with them, and they’ll be my home base throughout the trip. 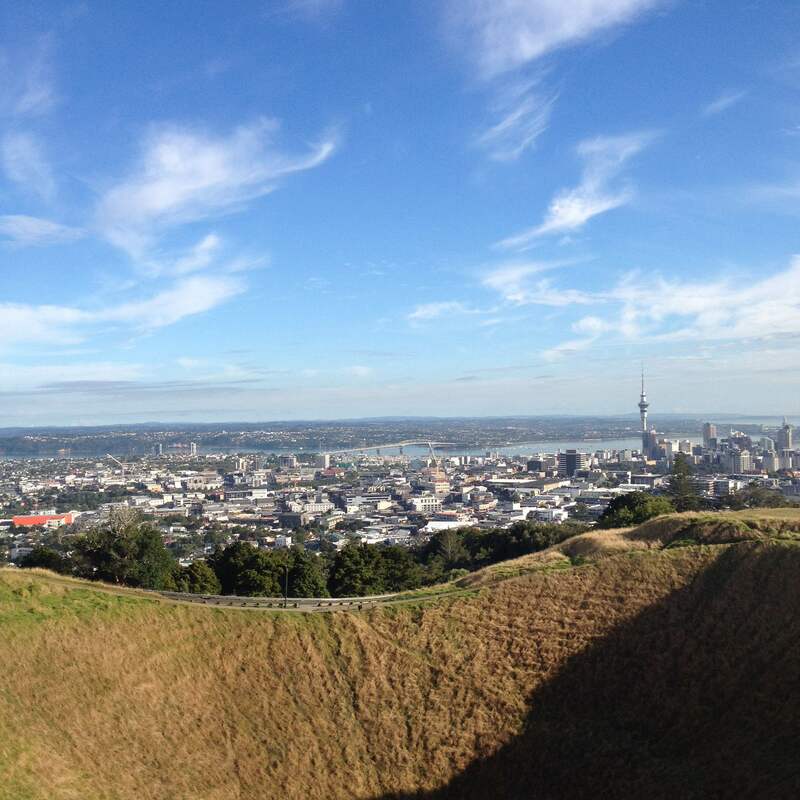 Great meals, convo and cribbage at home, and they took me on a day trip/hike to Castle Hill (ate a famous meat pie from the Sheffield Pie Shop en route) and out to the Te Matatini Kapa Haka Festival in the CBD (Central Business District as Kiwis call their downtowns). 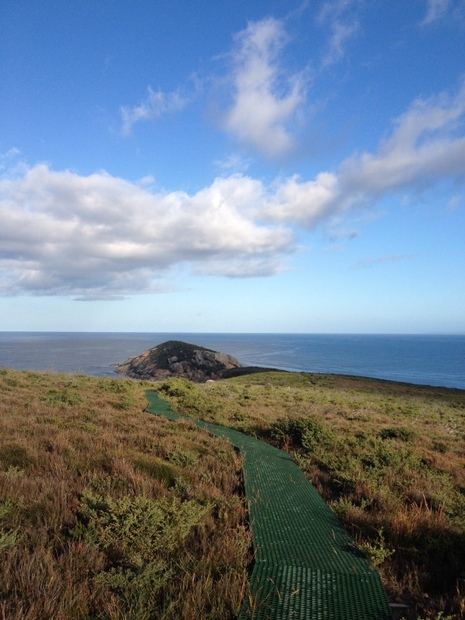 I then spent a week WWOOFing (volunteer farming) on the Banks Peninsula in Gebbies Valley. My host family lives in a log cabin they built themselves and had all sorts of fun-by-my-definition tasks for me: herding the sheep (herd of 10) and llamas (herd of 7) around the paddocks, helping shear the sheep, digging up potatoes, helping renovate a caravan, removing an old fence, picking up pine cones, etc. The meals were amazing, and the company the best. I really got to learn some Kiwi culture and recipes, and loved the creativity, creative drive, and community/outdoors focus of this family. 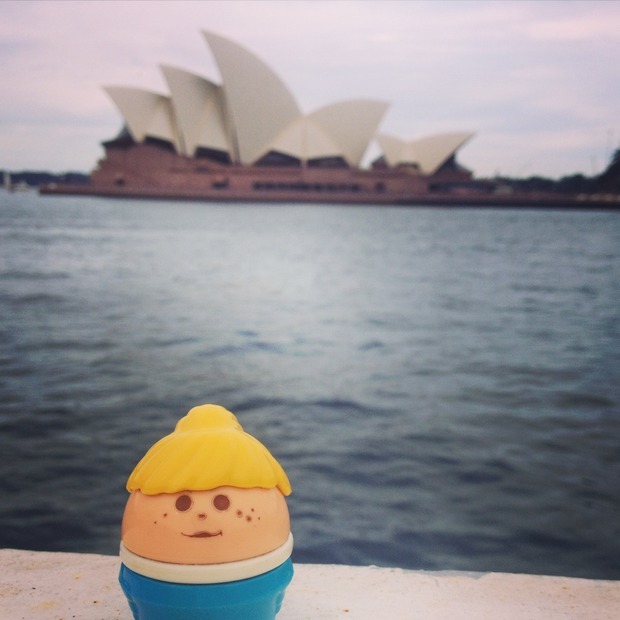 I plan to return after some of my travels! 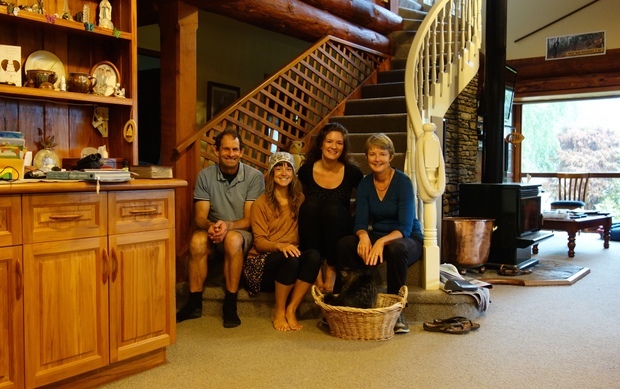 Their home and Gebbie the llama are pictured above, and me with the family and German WWOOFer Victoria (and cat Oracle in the basket) are below. 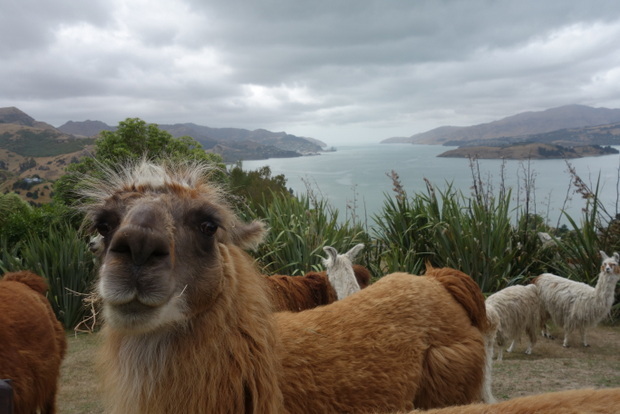 Anthony and Karen knew my love for their llamas so they arranged for me to visit Llama Lookout in neighboring Governors Bay. 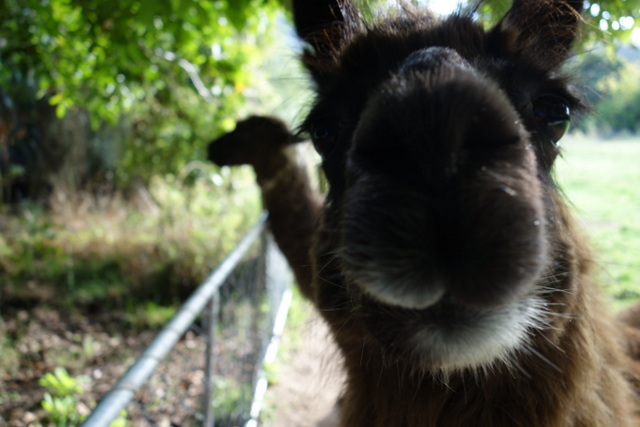 They bought their first llamas from Robyn, and her and her herd of 40 were mind-blowing to meet. 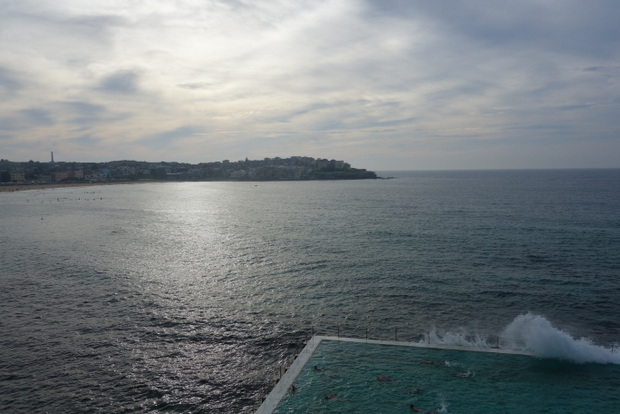 Combined with the view—it was unreal! 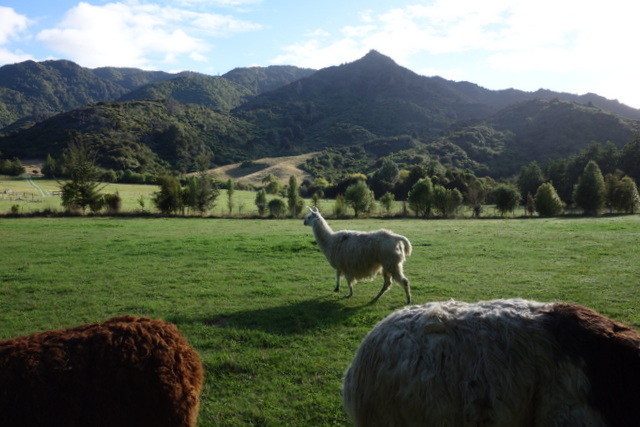 Robyn let me call them all down to the house from the hills, so I got to witness 40 llamas run down a mountainside toward me. 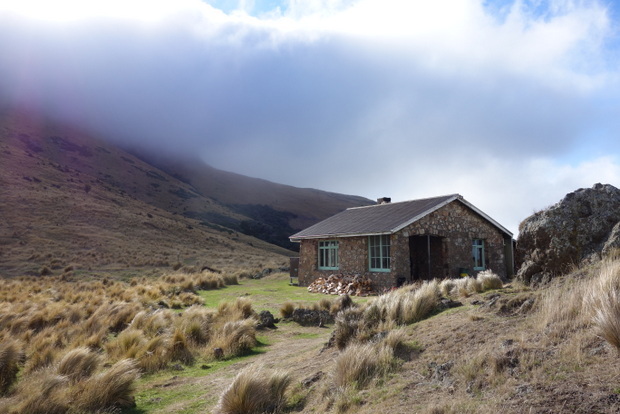 I went on a solo hike before I left Gebbies Valley to Sign of the Packhorse Hut. Was such a beautiful experience with tons of sheep along my way. Back in Christchurch after WWOOFing, Anthony and Karen treated me to a tram ride tour around the city. It’s truly amazing how much was destroyed in the earthquake. Entire vacant plots of land exist right downtown, many buildings are still in ruin, and many are being built. 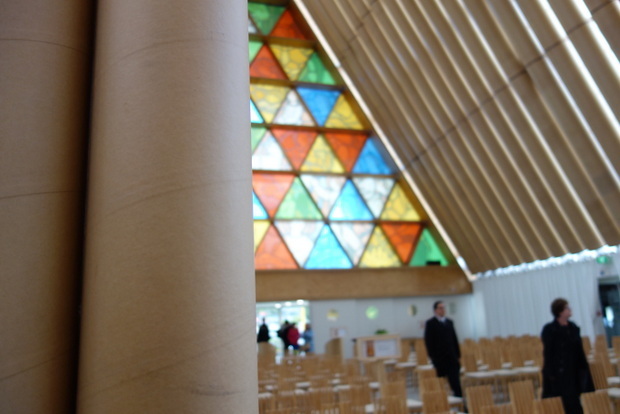 The most moving sight was seeing the Cardboard Cathedral, a makeshift church constructed out of shipping containers, laminated wood and cardboard (pictured below). 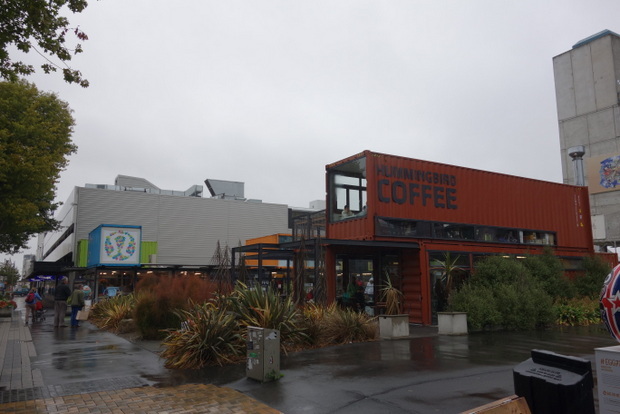 I also loved the style of the Re:Start mall, just loads of cute shops and eateries in shipping containers and food trucks. My first week in New Zealand has been so incredible, filled with beach ultimate, lots of new friends, and fun solo adventures. 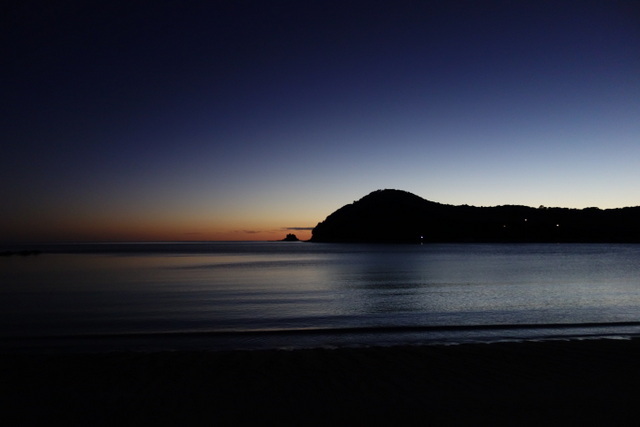 The very day I flew in I traveled up to Whangarei Heads to play in an ultimate frisbee tournament on Ocean Beach. It was absolutely beautiful there with tent camping, a surf shack as our home base, some short knoll hikes, and my team making it into the finals! Due to centuries of cultivation, little native bush remains except on the north-eastern cliffs, leaving the volcanic landforms easily visible. 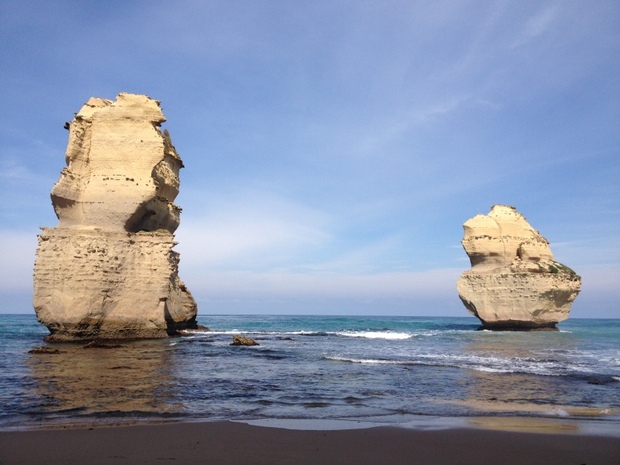 It exhibits the landforms from three styles of eruption. The island consists of one main scoria cone with a deep crater, a small remnant arc of the tuff ring forming the cliffs in the northeast, and the upper portions of lava flows. 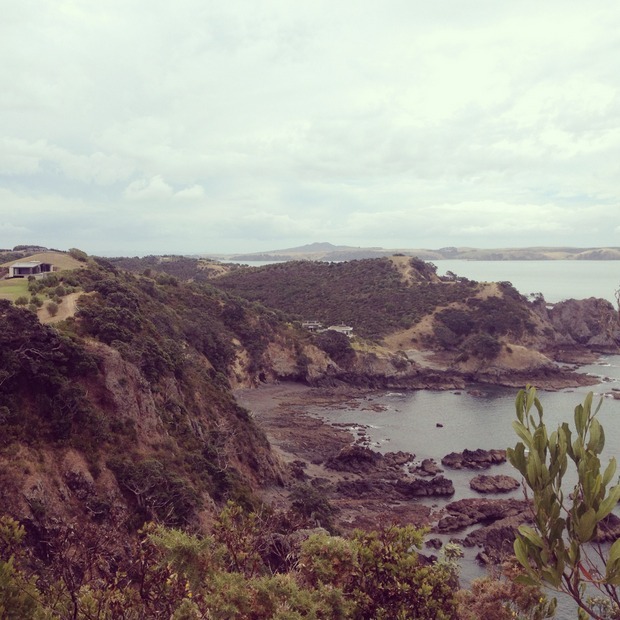 On Waiheke, I stayed at Kina Backpackers on Onetangi Beach, but explored mainly around Oneroa, which was a little more happening than the sleepy stretch of Onetangi. Would recommend staying closer to Oneroa if you go! 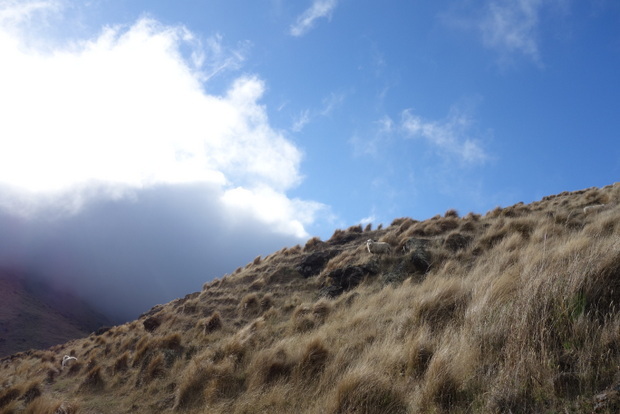 From the north end of Oneroa beach, I hiked the Headlands section of the Te Ara Hura track and it definitely makes the top 5 hikes of my lifetime. 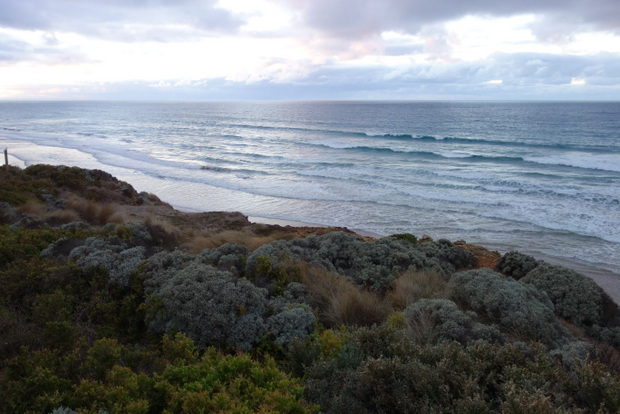 The terrain hugged the coastline on bluffs and winded down to remote beaches. 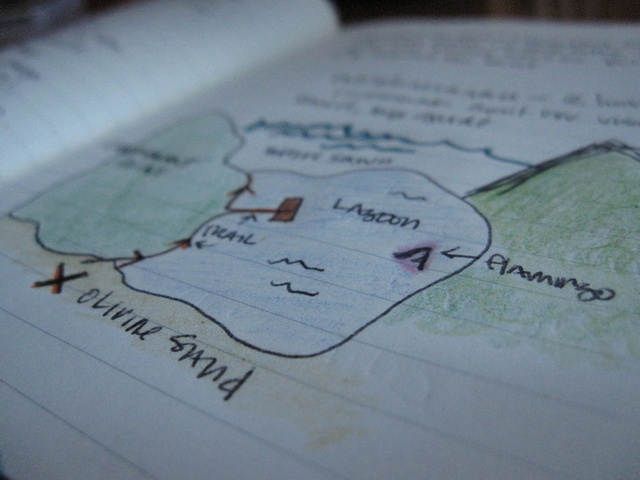 I didn’t pass a single other soul hiking, save for a few beachgoers at Owhanake Bay. Other highlights on Waiheke Island were the pies at the Waiheke Fruit & Vege market (ordered the minced beef and mozzarella), the stunning public library (free wifi), and the fishburger at The Local. 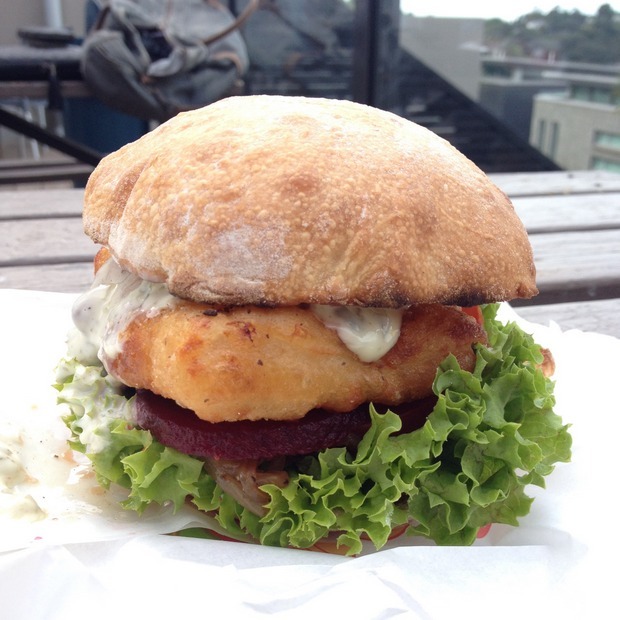 Prepped with caramelized onion, beetroot, tomato, locally grown lettuce, mayo, and relish on a local Ringawera bun, The Local fishburger takes top honor among my meals so far. 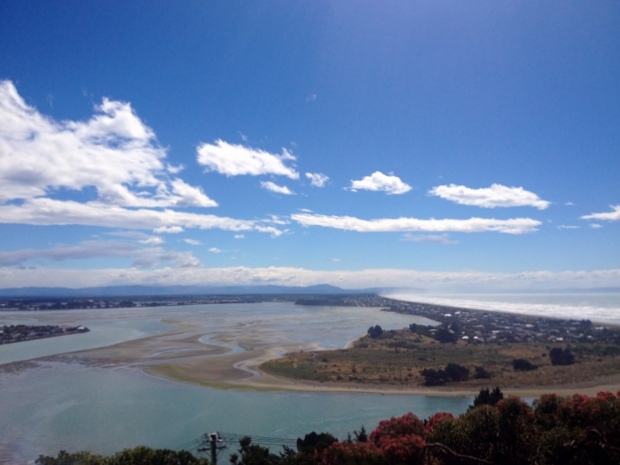 Enjoyed it with a draft Tiger beer after my Te Ara Hura hike, sitting outside on their ocean-view deck aaaaahhhhhhhh! After 2 nights in Waiheke it was time to fly to Christchurch to visit my friends Hannah and Hudson—the big reason New Zealand fell on my travel radar. 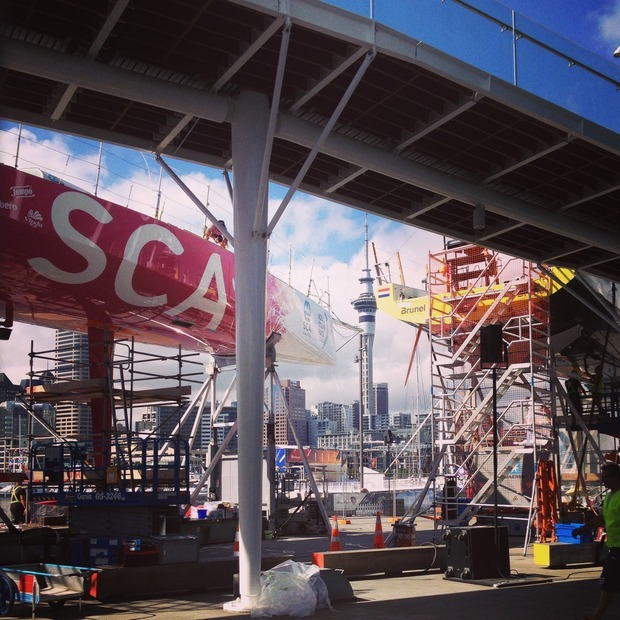 I had a couple hours in Auckland to kill so I dropped my bag at the ferry building and wandered over to the Volvo Ocean Race that just so happened to be staged on the waterfront while I was there (in town Feb 28–Mar 15). It was actually amazing to see the crews and shipbuilders working on the vessels and sails. I gawked around for a few hours at the spectacle: vendor booths and sponsored bars, a music stage, free sailings, and the crew quarters where the teams were working on little repair projects and such before the next leg to Brazil, the longest one of the voyage. 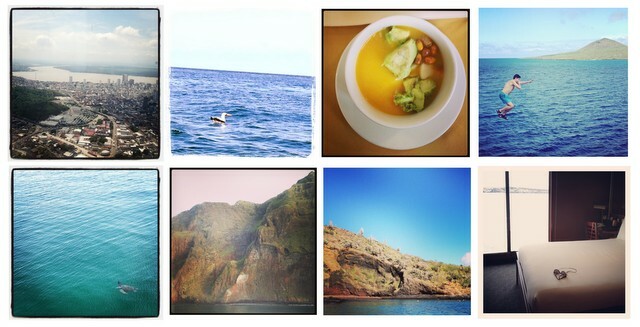 I’ll do my best to keep updating my blog, but for photo updates, follow me here: blanksmith.tumblr.com. 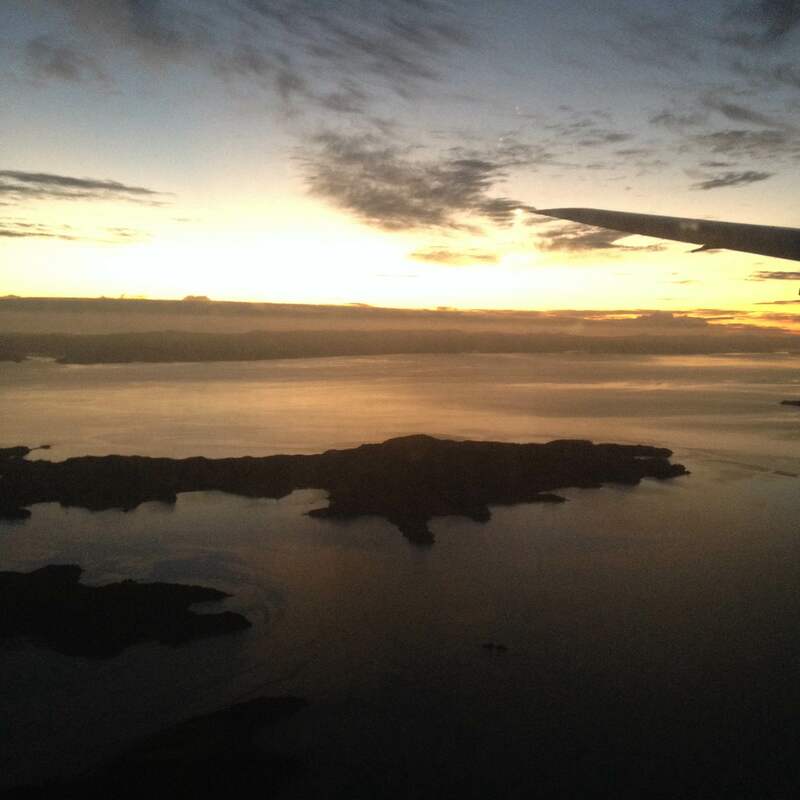 I’ve arrived to New Zealand! I’m on an extended “working” vacation for a couple months—actually spending day 1 in Auckland finishing up a book indexing project for the Center for Basque Studies before heading north to Whangarei Heads. 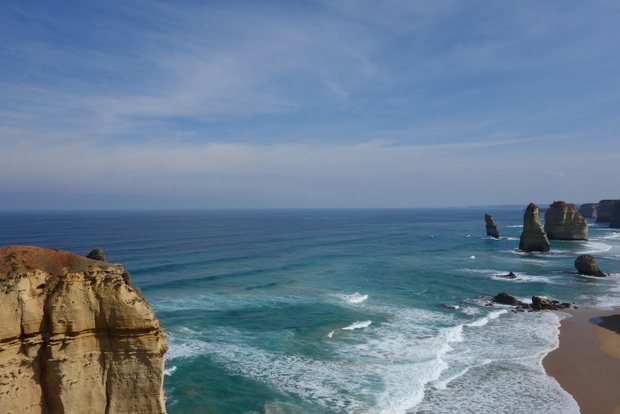 Follow my New Zealand photo updates as I travel around the North and South Islands, and then hop up to Australia for a few weeks too.